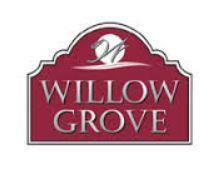 Willowgrove is a primarily residential neighbourhood located in northeast Saskatoon. It comprises a mix of single-family detached houses and multiple-unit dwellings. As of 2006, the area is home to 443 residents. The neighbourhood is considered a middle to high-income area, with an average family income of $81,774, an average dwelling value of $218,357 and a home ownership rate of 93.5%. Willowgrove homes for sale, Willowgrove real estate agent, Willowgrove REALTOR®, Willowgrove houses, Willowgrove homes, Willowgrove, Willowgrove land for sale, Willowgrove land, Willowgrove new home, Willowgrove resale home, Willowgrove real estate services, Saskatoon, Saskatoon neighbourhood. Willowgrove homes for sale, Willowgrove real estate agent, Willowgrove REALTOR®, Willowgrove houses, Willowgrove homes, Willowgrove, Willowgrove land for sale, Willowgrove land, Willowgrove new home, Willowgrove resale home, Willowgrove real estate services, Saskatoon, Saskatoon neighbourhood.